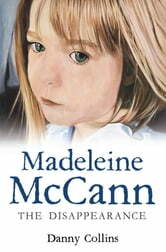 On the evening of 3 May 2007, Gerry and Kate McCann returned to their holiday apartment in the resort of Praia da Luz on Portugal's Algarve to every parents' worst nightmare: their daughter, three year- old Madeleine Beth McCann had vanished from her room. The first days and weeks after her disappearance saw an almost unparalleled level of media coverage, as the face of a blonde, giggly little girl and her grief-stricken parents made front pages and news bulletins the world over. However, as opportunities were missed and potential suspects questioned and released, including Gerry and Kate McCann themselves, accusations were levelled on all sides. The competency of the Portuguese police was brought under severe scrutiny, whilst the international media and public has continued to wonder, fairly or not, how a group of parents could leave their young children alone as they dined elsewhere. All the while, Madeleine is still missing and her fate remains unknown. Spanish-based investigative journalist Danny Collins has returned to Praia da Luz to re-examine the case. This is the story of what happened on that terrible night and what has followed since, piecing together the clues and false leads from the original investigation with the Metropolitan Police's efforts in recent years to find Madeleine and solve one of the most talked about cases of the century.